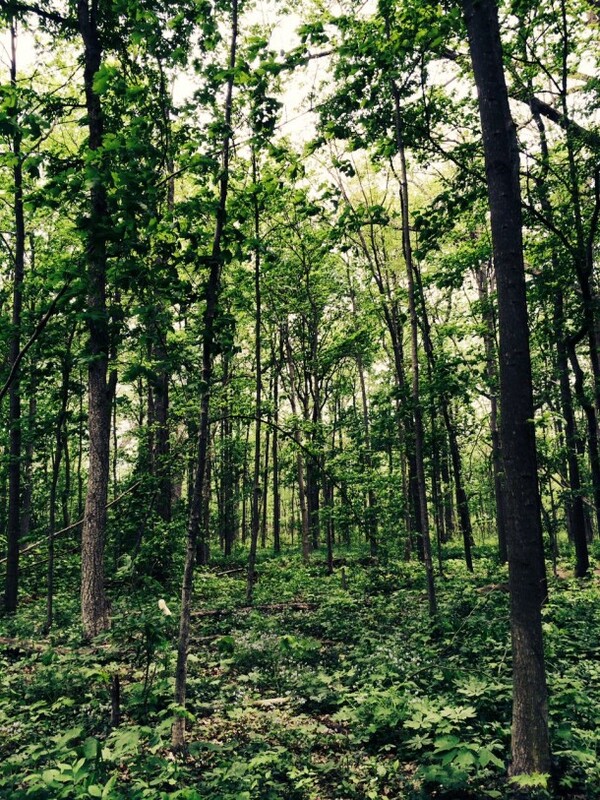 Long before Indiana became a state, it was a lush forest filled with elm, ash, and oak trees. It was said that a squirrel could travel from Ohio to Illinois by jumping from tree to tree, never touching the ground. While 97% of Indiana’s pre-settlement forests are gone, either cut down by humans or killed by Dutch Elm disease, there are a few locations around the state where you can catch a glimpse of what the landscape might have looked like prior to the 1820’s. Marott Park gives visitors a glimpse of what Indianapolis might have looked like before the state was founded. 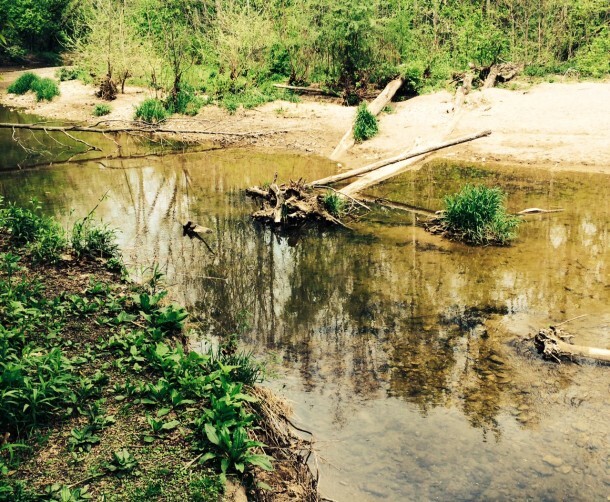 Indianapolis residents don’t have to travel far to reach one of these unspoiled, natural areas. 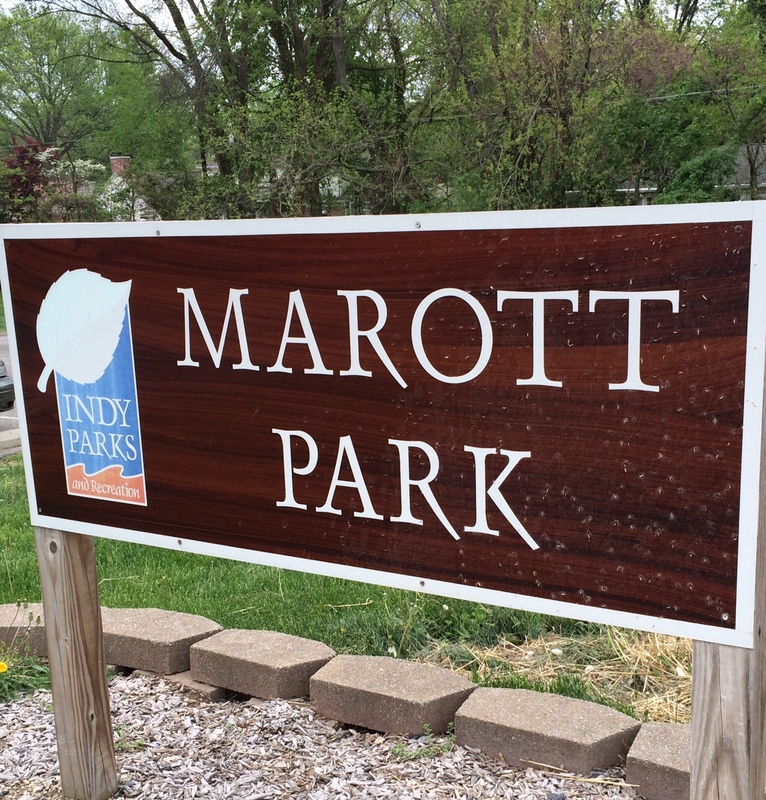 Nestled amongst the trees just north of where College Avenue meets 73rd Street, you’ll find Marott Park. 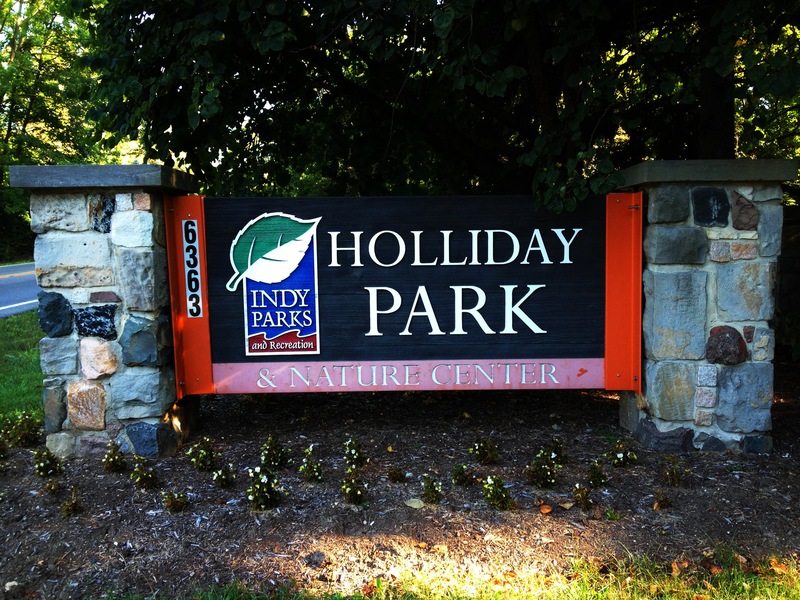 This 102-acre park is one of the best places in the city to see some of Indiana’s indigenous plant life. 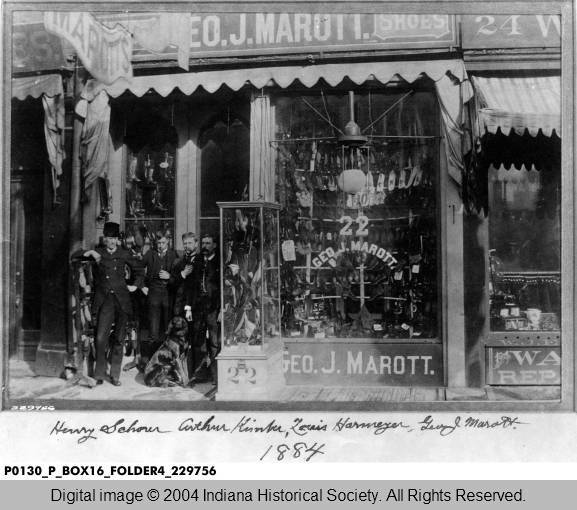 George J. Marott (on the far right) in front of his shoe store. Marott donated much of the land that now forms Marott Park. 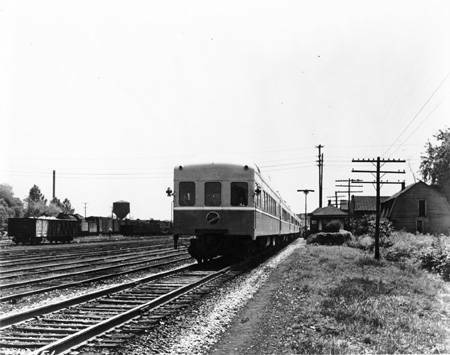 Image: courtesy The Bass Collection, Indiana Historical Society. The park is named for the Marott family, founder of a local shoe empire. Eighty-seven acres of land were donated to the city in 1957 in the Marott name. 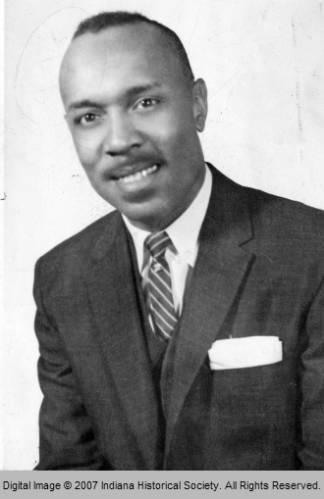 George owned several well-known local businesses, including George J. Marott Shoes downtown on East Washington Street and the Marott Hotel at 2625 North Meridian Street, now the Marott Apartments. The Blickman Family donated several of the remaining acres of the park to the city in 2005 in celebration of their fifty-sixth wedding anniversary. The Blickman Educational Trail Park links Marott Park with the Monon Rail Trail. Marott Park is a dedicated nature preserve. 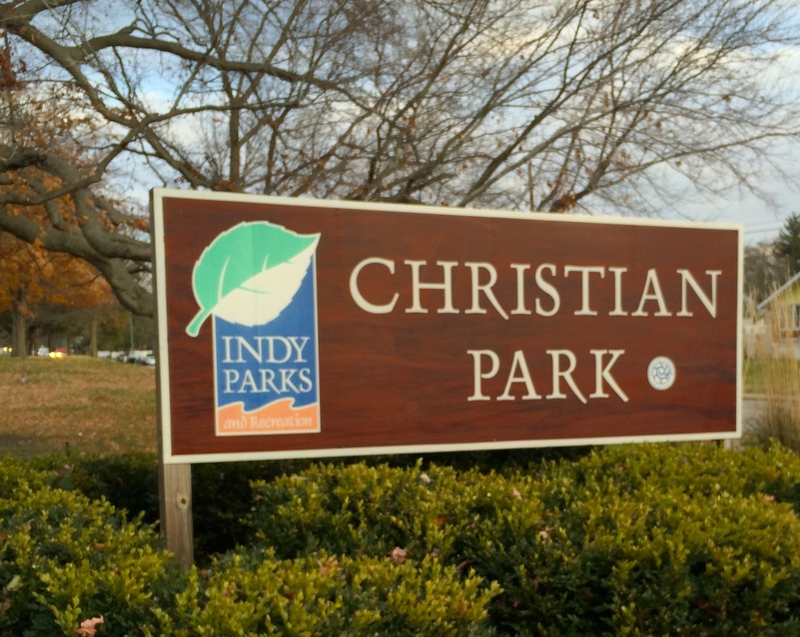 Eighty-four acres of Marott Park is designated as an Indiana Nature Preserve, owned and managed by Indy Parks with assistance from the Indiana Department of Natural Resources, Division of Nature Preserves. These areas are dedicated as places of importance for wildlife or geological features and are protected for the conservation and research opportunities they provide. 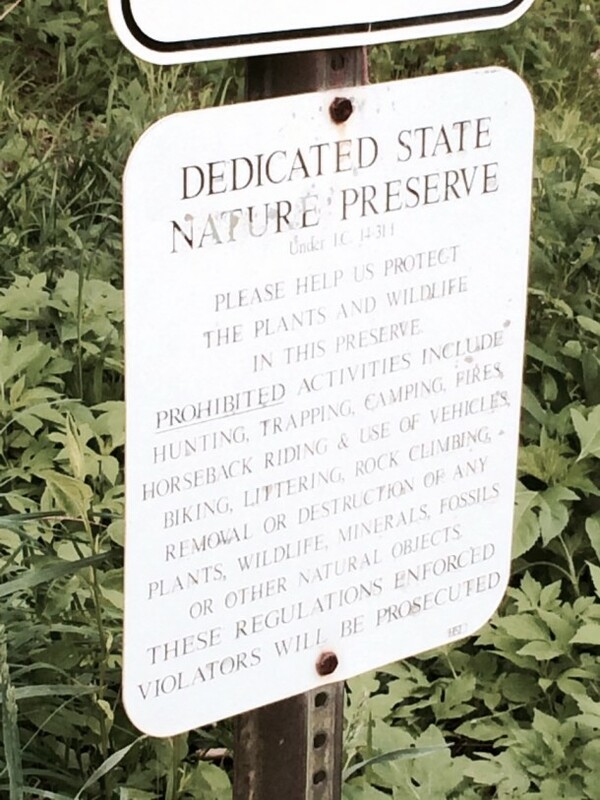 The first portion of the preserve, a sixteen-acre section of second growth forest, was established in 1987. The remaining part was dedicated in 1992. Much of this acreage was farmland until the 1970s. With no one looking after the land in the intermittent years, it became densely overgrown with invasive non-native plants, leading to soil erosion and unsuitable habitats for local flora and fauna. The Indiana Department of Natural Resources with the help of School of Environmental Science at IUPUI and community volunteers have logged countless hours returning the area to a hardwood forest. Marott Park is one of the best places to see local wildlife, like native bird and plant species. Marott Park greets visitors with a grassy meadow featuring picnic facilities. But once you step onto its trails, it’s easy to forget that you are in the twelfth largest city in the United States. The hustle and bustle of urban life fades away under the canopy of shade trees. 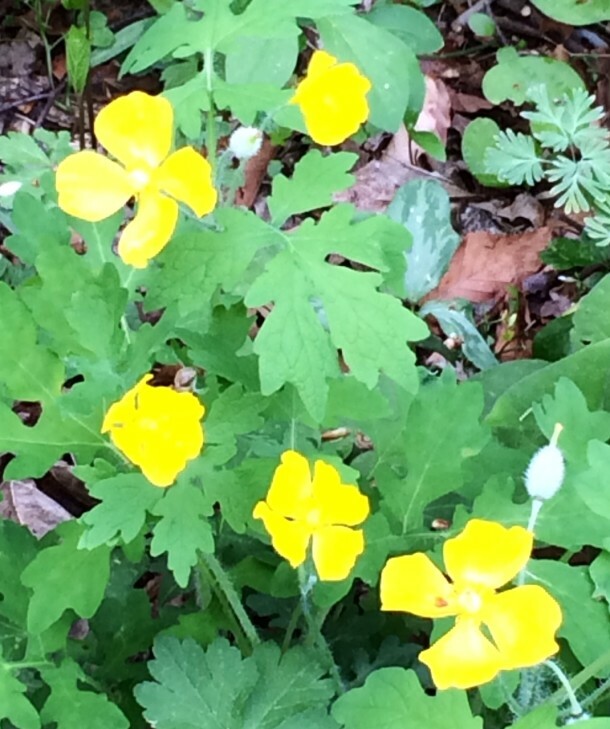 Wildflowers abound in the spring. Native and migratory birds call to each other while squirrels and chipmunks forage for buckeyes, walnuts, and acorns. One of Marott Park’s most beloved features is Williams Creek, a tributary of the White River. Its banks are made of soft sand and its waters are shallow and clear, making it the perfect destination for “creek-stomping.” On a warm summer afternoon, the creek is filled with children splashing and searching for rocks and other small treasures. Dog-owners bring their water-loving breeds to the park for a hike, followed by a swim. Marott Park is a hidden gem on Indianapolis’s north side. Grab your hiking boots and head out for an afternoon in this rustic park. Marrott is a nice little park, but really doesn’t have any old growth trees since it was logged out in the 1800s. If you want to see some of the old growth big trees that covered the state back in the early days, go to 91st and Westfield back in Sherwood Forrest subdivision and also off 91st and Kerwood Drive Just East of Westfield. The second house to the right has one of the biggest White Oaks you will ever see anywhere! That tree had a lightning rod installed years ago to protect it, and the house! Also at the neighborhood on the NW Corner of Kessler and Keystone! Lots of big trees back in there. The big trees are still around, they are just not in woods anymore. I realize this post is over four years old, but I just stumbled across your very interesting website and felt I should comment on this particular entry. My Great-Grandfather was Arthur Kimber, pictured in the heretofore-unknown-to-me photo of the Marrott Shoe Store above. Somewhere in our family “archive” we have an old hand-held advertising fan from the store. I understand that Arthur and at least some of his siblings worked at the store for quite some time in the late 19th and early 20th century. Arthur eventually became an agent for the Hoosier Casualty Insurance Company. Thanks for this wonderful website!